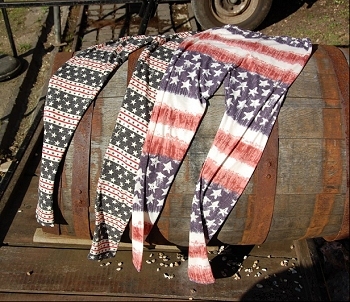 Bucaroo, a business which started up one year ago in Henley, is unique in the area as it imports most of its clothing ranges from the USA. Originally, Bucaroo sold via House Parties, which proved so successful that the founder, Hyunok Sung, decided to give Bucaroo a permanent outlet in Henley as well as a presence on the Internet. Hyunok first approached us with a view to helping improve the website she had made via one of the popular WYSIWYG "design your own" websites, which offer a cheap way for small and start-up businesses to get on the Internet. However, she found that she was pretty much on her own, not knowing how to get her website noticed on Google, or how to popularise her brand both on the Internet and in the town of Henley-on-Thames. Designing the new website was the first step. We kept the original Bucaroo logo, designing around it to come up with a more unique-looking site; we advised about photography and immplemented SEO to elevate the website on Google and other search engines. We designed the lauch week flyer (and helped distribute it) as well as preparing advertising in the local press, and helping out with wording of press releases. Even though we weren't responsible for the original photography, we edited and cropped photos and images and prepared them so they were looked as good as possible in printed material. 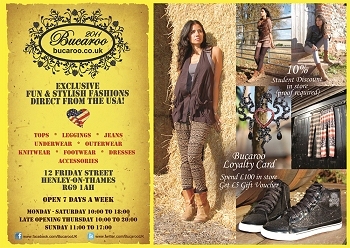 Recently, we have been further involved with print work for Bucaroo, producing another flyer, a loyalty cards and gift certificates. During the design process for each of these items, we were able to offer guidance and expertise to produce a result which exceeded Bucaroo's expectations. We created & now jointly manage a Facebook Page as a means of communicating latest news and offers. We regularly advertise and invite customers to evening events on Facebook, such as our Sushi Nights, our initial Launch Party and our Birthday Party. 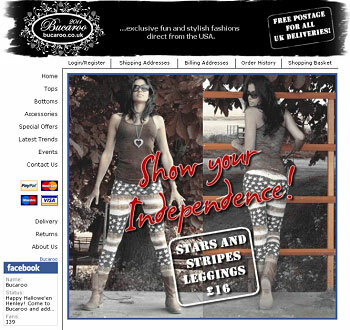 Our large experience Social Networking has allowed us to develop a lively online presence, which helps open up a two-way discussion between the boutique and its customers, encouraging feedback and positive recommendations and enabling direct marketing to fans and followers. We helped to set up and manage a Twitter account as well, and have had some interesting results from using Twitter, such as communicating with Vivien Taylor (actress and model) during the Henley Fringe Festival, who then kindly agreed to pose for Bucaroo wearing their signature leggings. We occasionally take photos of stock and encourage Hyunok to take photos of her customers to post on Facebook and Twitter, as we find this really attracts attention, and enhances the timelines on these popular social media networks. Thanks a lot for all your great help! 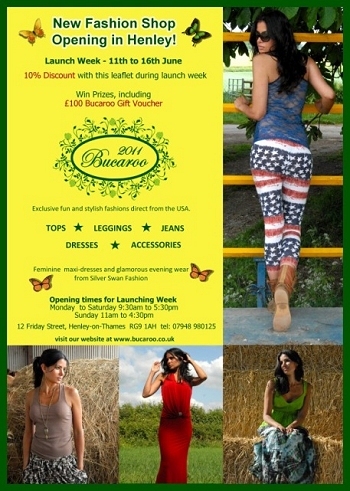 As highly competent photographers, we were able to make use of this skill with the production of Bucaroo's latest flyer. Both Hyunok and the Bucaroo model were very pleased with the results. We utilised our video editing skills to produce a simple music video to summarise the first 6 months since the launch of Bucaroo, using many of our own photographs and royalty-free music. Hyunok was very pleased with the results, and the video attracted many viewers from Twitter, Facebook and Google+.